Inspire prepared to visit two of the most excellent slope stations of Himachal Pradesh, Khajjiar and Dalhousie. These two towns are honored with gigantic greenery and rich legacy. 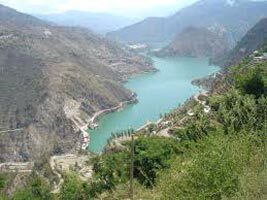 The Splendid Dalhousie Khajjiar Tour takes you to a portion of the top most attractions of Khajjiar and Dalhousie, as Subhash ki Baoli, Panchpula and Khajjiar Lake. Offer prayer in Bhulwani Mata Mandir. Enjoy Boating in Khajjiar LakeAny expenses incurred due to Exigencies. Any personal expenses like laundry, shopping, tips etc. On your arrival in Pathankot, meet our representative and get assisted transfer to Dalhousie. As you reach Dalhousie, check in at a hotel and relax. Rest of the day is to be spent at leisure. The town is built around five hills topped with snow and covered with lush greenery. Dalhousie is prettified with the existence of flawless art, colorful temples, handicrafts and an ancient Hindu culture. Overnight stay in hotel. After breakfast, get set to explore this picturesque town. 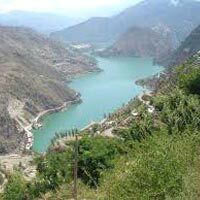 You start your Dalhousie sightseeing with Panchpula; adorned with natural water pools and a monument built in the memory of Sardar Ajit Singh (Freedom fighter), Panchpula can be listed as one of the topmost attractions of Dalhousie. The spot where Subhash Chandra Bose spent plenty of time contemplating (Subhash Baoli) is to be visited next. Afterwards, offer sincere prayers in a popular temple of Dalhousie; Bhulwani Mata Mandir at Bara Pathar. Have dinner and stay overnight in the hotel. Upon breakfast, proceed to Khajjiar. Lush green meadows of this town have lead to its christening as The Mini Switzerland of India. This name has officially been given to Khajjiar because its landscape looks similar to that of Switzerland. At the middle of the foothills is the picturesque Khajjiar Lake, tranquil and serene. On reaching Khajjiar, check in at the hotel. The day is to be spent at leisure. Have dinner and stay overnight in the hotel. After breakfast, you are provided assisted transfer to Pathankot. From Pathankot, you catch your train or flight for your onward journey.